The factory is empty. Schools make factory workers. Now what? Factories didn't happen because there were schools; schools happened because there were factories. The reason so many people grow up to look for a job is that the economy has needed people who would grow up to look for a job. Jobs were invented before workers were invented. In the post-job universe, workers aren't really what we need more of, but schools remain focused on yesterday's needs. In the early 1900's the US lead the way to industry. We created something completely new: the idea of mass production, interchangeable parts, interchangeable assembly line workers. The artisan was no longer required to build cars, or toothbrushes. Through this innovation, everyone gained access to more, plenty. The result was the most prosperous century in the history of the world. A hundred years later, the US no longer holds the monopoly on factories. We've led the way, and others have followed. This isn't a bad thing. The world has raced to the bottom: who can make a toothbrush the cheapest? Now, we are free to develop a new idea. Creative destruction is never pleasant, but I don't think anyone would argue that they miss the jobs lost to the cotton gin. A common theme in Utopian literature and film is that technology has reduced the need for people to do many tasks. They are no longer needed to cook, clean, perform surgery, build houses. Yet most of these stories act as warnings, not beacons of hope. In the post-industrial utopian society, identity is lost. Everyone wears a jumpsuit. Your role in society is decided by a central authority which seeks to optimize. In many of these stories, people are given numbers rather than names. And in every one of them, the central authority tries to keep things running smoothly by crushing art, individualism, and passion. Pretty bleak. Fact: we live in a society that is post-industrial. Our great idea panned out perfectly and is in the process of reaching its natural conclusion. Everyone has everything (at least in terms of wants/needs of the early 1900's, which are what industrialism can provide). Its time to create the next great idea. What is it? Maybe it has something to do with connection (the internet). Maybe the next great idea involves doing the opposite of what Utopia warns against. We're living in a moment of time, the first moment of time, when a billion people are connected, when your work is judged (more than ever before) based on what you do rather than who you are, and when credentials, access to capital, and raw power have been dwarfed by the simple question "Do I care about what you do?" We build this world for you. Not so you would watch more online videos, keep up on your feeds, and LOL with your high school friends. We built it so you could do what you're capable of. Without apology and without excuse. We don't need to fit the mold, we need artists. We don't need more interchangeable workers, we need customizers. We don't need teachers, we need guides to show us how to live out our passions. We don't need to create a solution for everyone, we need to create a unique solution for someone. I am constantly amazed that every four years in America, we have a “Get Out the Vote” campaign. We give ourselves a good pep rally reminding ourselves that “Freedom isn’t free” and “if you don’t vote, you don’t have a right to complain.” We have to convince ourselves to exercise our freedoms, to get off the couch and say something with our one precious vote. And time and again we see that one vote actually matters. Well, voting isn’t the only freedom we tend to overlook. The First Amendment gives you the right to say whatever you want, without the fear of persecution. Rather than exercising this freedom by adding to the discourse, we follow the lead of “them.” We bicker on Facebook and Twitter and the news comment feeds. Safe places where we don’t really stand out from the noise, we do what’s expected, and we enjoy a big dose of digital courage. Its easy to be a critic: you don’t risk anything. Its much harder to stand up and make something new. Making something new puts your skin in the game. Now you are risking the response of critics. Your freedom comes with the something so much more precious than the right to critique: you have the chance to add something new. Not just another armchair quarterback. You can create, and share. We have the tools to reach anyone in the world with our ideas, and yet we choose to limit them to arguments with people we “like” on social media. It costs us nothing. Anyone can create a public space to share his or her ideas for free, in 15 minutes or less. And everyone should. Your voice counts. If a kid saying the word “blood” can catch the attention of millions, why can’t your one precious perspective? Consider writing. You can write something and share it with the rest of the world. “Conventional Wisdom” is really just a collection of things that we, as a people, repeat often enough that we remember them. You can add to this collected work. But it requires saying something, risking something, rather than just critiquing the thoughts of others. We need your ideas! Create a blog. Say something new. Today is an odd day for me. I am withdrawing from two “opportunities." One is a paper for a conference, the other is a job application. The paper represents the typical academic currency, keeps the “publish or perish” ledger in the black. 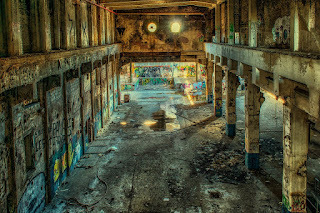 The job represents my last offer to enter into the industrial research machine, and make the unremarkable changes that come from a place of absolute safety. Both represent opportunity to move up a rung in the safe, professional ladder I have been climbing. There is a “typical” or “traditional” track to follow which is the expected and (seemingly safe) trajectory for my career, the natural continuation of the path that led me to this point. This path leads directly into the machine, and offers the opportunity to become a cog. Cog (n) /kawg/ A crucial, but easily replaced part of a machine. Only noticed when it doesn’t work. I can’t help but notice that if I don’t send the paper, the conference will go on. No one will miss it so much that they decide not to attend. The job opening that was “created just for me” came with so little communication and urgency that I have to wonder if this is just a sales pitch, a way to make me feel like a winner as I settle. Someone else will take the job. 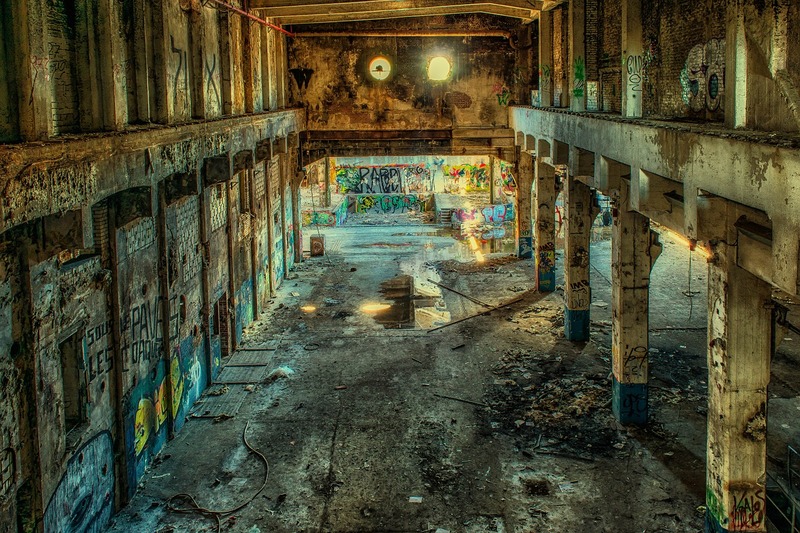 The factory owner wins when highly talented people join the “cog list” as employees. It is the highly talented new employee who suffers. This person must hand over the keys to his dreams in exchange for a “safe” career, with well-defined promotion tracks based on years of service rather than impact. In either place, it is easy to test just how cog-like the opportunities are: If I walk away, will the long-term outcome change? 10 years from now, will it matter that someone else published their paper, or someone else took that job? Inverting the question: if I don’t do the work that I plan to do instead of these two “opportunities,” will the world miss that? I think so. Today is especially strange for me because these two “opportunities” represent my last open lines to that safe track to cubeville. Letting go may actually burn the bridges, leaving me fully committed to the uncertain life of following MY purpose. Not someone else’s purposes. Not the expected path that has been trodden countless times. I’ll have no one to boss me, no one to blame for my success or failure. But I’ll have a chance to matter. For effect, feel free to play Brain Damage as you read the rest of this. I’ve got voices in my head. They speak to me all the time. They think they are keeping me safe, but in reality they are not my friends. They are not capable of speaking in my best interest. It’s not their fault. They aren’t evil. Just stupid. We listen to the voices in our heads because of instinct. They started out smart, telling us to stay out of traffic, away from high ledges. They learn from pain, or from witnessing of pain. I burned my hand in fire, so the voices in my head tell me not to put my hand in fire. I am afraid to put my hand in fire. I saw someone fall from a high place and hurt themselves. The voices in my head tell me not to go to high places. I am afraid of high places. But then we get hurt emotionally. Maybe an idea we have is criticized. Maybe someone tells us we aren’t good at something. The voices learn from this pain, too. And so they start to tell us not to put our ideas out there. Or they tell us not to try something. We become afraid to put our ideas out there, afraid to try something. Theres a problem with this: physical pain is governed by physical laws. Every time I stick my hand in the fire, I will get burned. The voices are right every time that I think about sticking my hand in the fire and they tell me not to. Maybe your idea wasn’t even bad. Maybe the person who criticized you had the problem. They’ve got voices too. Maybe you threatened their sense of self-worth, or expertise. What was the criticism, really? Would everyone think it was a bad idea, or was the person you spoke with narrow-minded? See, every human interaction has an infinite number of possible outcomes and nuances. They won’t always reject your idea. They won’t always criticize you. Which means the voices in your head won’t always be right. The only way to find the people who want your ideas is to keep putting them out there. And this requires you to be smarter than the voices in your head. This requires you to tell the voices to SHUT UP! Well, I’ve asked thousands of people over the years, "What do your voices tell you?” and I’ve learned something: no one has a positive internal voice. There’s someone in my head, but its not me. Ok, no comic this time, but I couldn't resist the title... Also, a shout out to @shellifowler for the idea, she talks about "Lizard Brains" fairly often. I'm not getting any negative feedback. I've had some very positive discussions and comments come from the posts that I have managed to share, but no one's needling me to "get my productivity up... or else!" This is very strange in the context of a course in Higher Education. Sometimes I think we need negative feedback. To understand why I felt this way, I'll first need to educate you a bit on a topic about which I actually have no earthly idea. But the image works and I like it. I make no claims to scientific accuracy here. 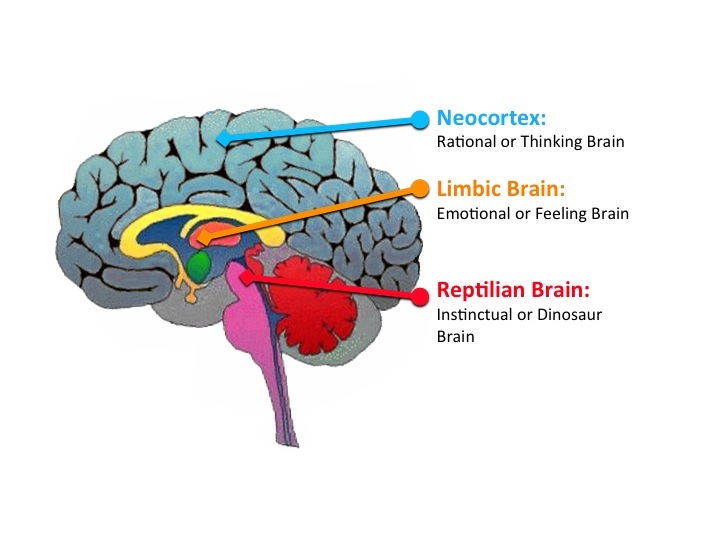 In other words, the Lizard Brain stands between logic, rationality, emotion, and action. As educators we seem to target the Rational or Thinking Brains of our students. We're starting to recognize the importance of the Emotional or Feeling Brain in terms of creativity and context-building. Unfortunately, I think most often we only end up appealing to our students' Reptilian Complexes. There's a problem with the instinctual part of our brains. They aren't very smart. In fact, there are many times where we take actions in the interest of self-preservation that are actually more harmful than helpful (see The Prisoners' Dilemma, for example). The truth of life is that we are in a constant state of deciding what NOT to do. I'm writing this post at the moment. I've chosen (either actively or subconsciously) to not go jogging, analyze the data for my dissertation, or watch TV in front of the fire at this moment. There are actually an infinite number of things that I'm not doing right now, and only one that I am. Life is filled with tradeoffs. How we manage them says a lot about who we are and what we value. Keep a log of how you spend your time for the next week and then reflect. Does the way you actually spend your time (the only resource you can never get more of) really reflect your values? Eek. But there is a finer point on it. The Lizards in us twist the results of this exercise. They don't have any values beyond self-preservation. When faced with a trade between two actions the Lizard steers us toward that which it perceives to be most beneficial. When we chose an action that appears necessary but not truly reflective of our values, the Lizard tunes out our disappointment. Wait, weren't we talking about Motivation and Co-Learning? OK, back to where I started this post now. The weird thing about connected courses (compared to other courses I've taken) is that I'm not getting any negative feedback. My lizard brain can tune out my own disappointment with myself in the interest of practicality. My practicality can always find something more important than blogging. So I've participated as a spectator rather than a contributor or co-learner. And this is a course about a topic that I am passionate about! Instructors: do everything you can to create active, awesome, inclusive co-learning spaces. But remember, you can lead a horse to water but you can't make him drink. Even if he loves it. How do I get past this!!?? Maybe sometimes we do need negative feedback ("you're not living up to your end of the deal, Tony B."). Co-learners need feedback. In a room of hundreds of people its easy to melt into the crowd and get left behind. These types of learning experiences as they exist require extreme motivation and discipline on the part of the student. Perhaps this is a reason for the low MOOC completion rates? There are very few consequences for not engaging fully (just a lump in your stomach, if you care). To continue the self-deprecation, I thrive on positive feedback. That's how this blog came to exist. People responded strongly to some of the first things I wrote, which made me want to keep digging and keep writing. That's great for a while. But now I've worked myself up to need to write the next hit over just writing. I'm reminded of the incredibly poignant story of Michael Jackson's crippling fear after "Thriller," wondering how he could ever top it. Fear does not breed creativity. Had the blogging "requirement" for this course looked like a weekly participation grade things may have been different for me. If I knew each week's contribution was worth a certain, unrecoverable, portion of my grade I would have prioritized differently. Do we actually need the fear of an indelible grade to keep us going in the middle of the semester? It certainly produces a response in students. But is it genuine? What would I have to say if I were writing while being held for ransom by some elusive "A"? On the flip side, we could view high grades as a reward to be earned rather than viewing low grades as a punishment for "poor" performance. This mentality is exactly what lead's to the "Thriller Effect." Fear of not getting praise for your next great work is just as crippling as fear of punishment. Fear is the business of the Lizard Brain. And the Lizard Brain isn't capable of reflective thought. No matter what way we view grades (reward or punishment), they lead students to fear the results of trying, exploring, and taking risks. As long as we try to "motivate" students with repercussions for "getting the wrong answer," or "failing," we are appealing to their Lizard Brains. As long as we try to inspire creativity by rewarding "success" or "getting the right answer," we are feeding the Iguanas hiding at the tops of their spines. We are blocking the reflective thought of their Neomammalian Thinking Brains. We are stifling the context-building of their Paleomammalian Feeling Brains. Students are strategizers. Rather than focusing on learning, they game the system. They are forced to. We're teaching time-management and making trade-offs by requiring that students do both. "I can afford to lose points here so I can focus on earning the points over there that I really need." How can we elevate students' thinking? I've already written about the idea that in a co-learning environment co-creation is both a learning mechanism and a learning outcome. Another learning mechanism and outcome of a connected course is co-motivation. An introspective experience in which the co-learners help each other form and discover their own motivations. This is not cheerleading each other to get homework done. This is reflecting in a co-learning environment on why, on building the context that motivates the individual, and sharing that context with other co-learners. An important aspect of this is that the instructors are engaged and committed to the experience as well. Not as a game to trick students into opening up. Engagement from the instructors is critical to honestly empower learners, to break down the social structures plaguing most classrooms, and (most importantly) to model the constant flux of life. How many of you are doing what you're doing for the reasons you started out years ago? I'm not. That's OK and our students need to know it. Imagine the following exchange. You can decide which line is spoken by the "student" and which by the "teacher". "I hate calculus. I am only here because the Mechanical Engineering department requires me to be." "Perhaps we can explore that and find a deeper reason for why you would choose to grabble with a subject that is disinteresting to you on the surface." The goal of this co-motivation is to find true motivation that comes from within. Motivation that stems from something deeper than good feelings from peers or grades. Certainly something deeper than avoiding bad feelings that accompany low grades. I said earlier that had this course included a weekly grade based on productivity I would have managed my time MUCH differently. I actually wouldn't have taken the course at all so I could focus on my dissertation. The Chameleon in me would have hidden from ANYTHING that represented a guaranteed distraction. The point here is that I've had an incredible experience. The course structure empowered me to engage in the ways that were meaningful for me and my co-learners. We've created new artifacts that further flesh out the idea of a connected course. We've co-discovered more about our own motivations. Dear future students, I'm doing everything I can to get ready for you. Someday we are going to learn much more than how Thermodynamics works together. We're going to teach each other the meaning of it. We're going to create the meaning of it. We can see what happens when we act out of self-motivations rather than external pressures in this passage from "Michael Jackson: The Pressure to Beat It". It's March 1987, and it's getting late. Westlake Studio is deserted except for Michael, Quincy, Bubbles the chimpanzee, and a few technicians. "Smelly," as Jones calls Michael (possibly because the singer is so obsessively clean), still wants to lay down more vocal tracks. On the recording console in front of Quincy sits a comic strip clipped from a newspaper, the punch line to which reads: "Michael Jackson is 30 years old and he's never had a date." Michael picks it up and reads it. Then he puts it back gently and turns away. He seems hurt by the words. Half a beat passes, then he giggles like a schoolboy, and walks into the recording booth. Alone in the semidarkness, illuminated softly by a single spotlight, he starts to sing. This, finally, is what it's all about. Somewhere out there Prince has finished his new record and Run-DMC are thinking about theirs and Walter Yetnikoff is learning to live with the CBS balance sheets. But that's some other place. Here, for now, none of that exists; there are no problems, no merchandise deals, no deadlines, no family rivalries. It's just Michael and the song. Suddenly, he is no longer the dreamy, whispering recluse. He is no longer soft. He attacks the song, dancing, waving his hands, moving with unexpected power. He is in his own world, but for once, it's a world that others beside himself can believe in. For these few moments, at least, he is neither a joke nor an icon, just a very, very talented singer.